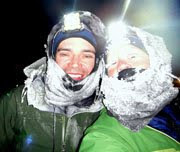 The first few days following the White Mountains 100 were rough. Exhausted as I was after the 34-hour effort, my legs would not let me sleep. It was a pattern of writhing for a while, finally dozing, and jerking awake less than 20 minutes later with either cramps or a dull burning sensation in my quads. For two nights, I just gave up trying to sleep, crawled upstairs, and did my insomniac thing where I stare at Twitter or the New York Times and don't retain anything. People seemed to not believe me when I said I wasn't sleeping, but as far as I was concerned, an invisible force was slapping my legs all night long — how well would anyone sleep through that? I was so desperate for rest that wouldn't come. If someone had offered me hard drugs, I probably would have accepted. As it was, I coerced my physician friend Corrine to disclose the largest cocktail of Aleve and Tylenol that I could safely ingest. One of those evenings included the post-race pizza party, of which I remember little. I do remember agreeing to be the designated driver so that others could enjoy the keg. But shortly after taking the wheel, I hallucinated a cloaked grim reaper darting in front of the car and slammed on the brakes. Luckily Wendy was willing to finish driving home, so I pulled over immediately. Thinking back, I was definitely the least sober person in the vehicle. The pain finally began to loosen its grip, but my legs were still too sore to stay comfortable during our drive back to Anchorage and flight to Denver on Thursday and Friday. I was perplexed about what exactly was wrong with them (I mean, I know I walked about 100 miles too far last week, but I have never experienced this depth of soreness before.) Beat helped shed some light by disclosing just how long he dealt with muscle pain following his Iditarod walk in 2015, when he and a few others battled thigh-deep snow drifts for 200 miles across the Interior. He likened the effort to climbing a Stairmaster for 12 hours a day, without relief. I remember that year well. For months afterward, Beat's legs felt sore every time he exercised. The soreness wasn't terrible and only lasted a few hours each time, but it did persist. His descriptive use of "Stairmaster" rang true for my effort this year. Trail conditions weren't nearly as bad as those Beat faced in 2015, but I'm also not nearly as strong as Beat. Dragging my 45-pound sled through either wind-drifted snow or fresh snow was a full-strength workout for me, and I was doing it in large blocks — 12 hours, 14 hours, 20 hours without rest. No wonder I tore apart my legs. I have been cautious about venturing back into activity. I've noticed my legs actually hurt more after I've taken two or three days off. Easy motions seem to soothe them ... but not hiking. I tried one three-mile hike on Sunday, and that reignited deeper pain. I've accepted that it may be a while before I can return to running. But biking — at least, the two rides I've done — feels wonderful. Go figure. It's been six weeks since I've been on a bike, and I'm back to riding at 7,000 to 8,000 feet after residing at low altitudes for more than a month. But I'm breathing more easily, climbing more smoothly, and feeling stronger than I distinctly remember feeling before we left for Alaska in February. My legs are actually less sore tonight than they were last night, after two rest days. It's as though in the process of burning out my hiking/running fitness, I managed to significantly improve my cycling fitness. "Well of course you feel great, it's April," I reasoned today as I cleared a tough climb without even breathing hard. See, I have this theory about a four-month hormonal cycle attached to fluctuations of my hyperthyroid condition. Whether or not there's any biological merit to this theory (likely there is none), it doesn't really matter anymore — the placebo effect is firmly in place. I'm now convinced I'm nearing the high that follows two months of low. This further reinforces an idea that December, April, and August are "awesome." February, June, and October are "awful." All of the other months are somewhere in between on a roller-coaster bell curve ... and there's pretty much nothing I can do about that. I can burn myself out in March and still feel awesome in April. Or train hard all winter long and still arrive at my late-February race in horrible shape. The cycle dictates my fitness. I realize I need to let go of these convictions in order to kill the placebo effect. But as long as it's April, I think I'll hold on a bit longer. Of course, I realize that a lot of this April awesome is simply stoke about being back on my bike after such a long time away, and about being home again. For as inexplicably sad as I was during the weeks following the Iditarod Trail Invitational, I've felt pleasantly content since finishing the White Mountains 100. In many ways, I left all of my feels out on the trails in Alaska. Both mind and body are ready for some boring routine. But the wanderlust continues to whisper, all the same. On the adventure/race front, I have almost nothing planned. I did sign up for a local 50K trail race in June, but that hardly counts. 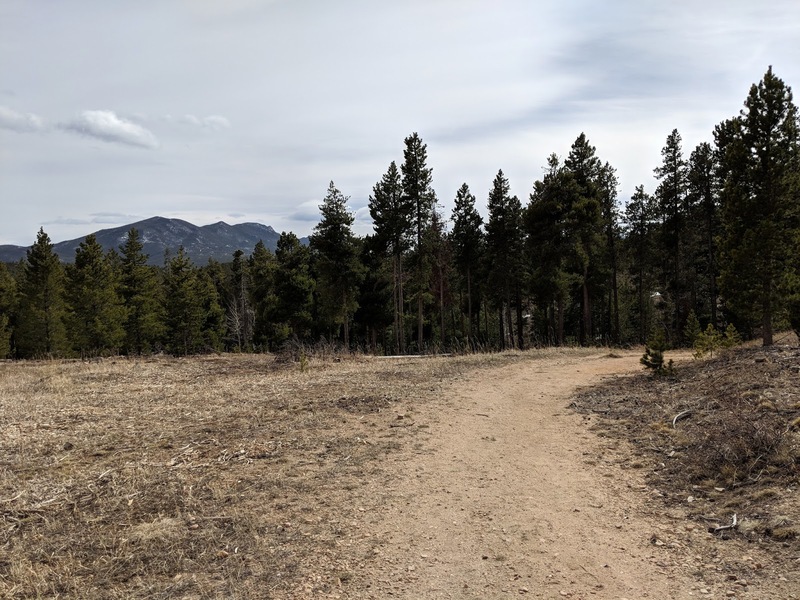 I willfully dodged the urge to plan a big summer race or trip, reasoning that I could really use a block of time to focus on the state of my health, rather than goals. I've also decided not to sign up for the Iditarod next year. This year was a bit of a test to see whether I have what it takes to walk the Southern Route to Nome, which was my tentative ambition for 2019. My conclusion was a resounding no. I don't have what it takes. The largest road block right now is my mind. I am tired — tired of all of the striving I've done for this trail since 2014. I am emphatically not ready to start all over again, effectively launching right now, to train and prepare for a physical endeavor that frankly feels impossible after what I experienced in the ITI350 last month. Of course, as I've stated before, the fact that something feels impossible to me has never been a reason not to try. But right now, I am not ready. Right now, I need physical and mental rest. And if 2019 just happens to be my last best chance, well, too bad. It is strange for me, though, to have nothing on the horizon. Of course I hope to divert some time to writing and other projects, but these feel so small next to the sweeping emotions of a big adventure. Perhaps my resolve to keep it simple will crack. 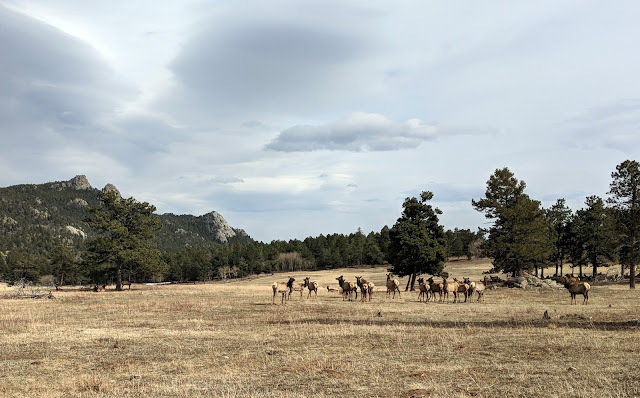 For now, though, I am content to pedal my mountain bike up a steep gravel road while elk graze in a meadow, and cold wind sweeps in from the west, carrying a strong aroma of wet dirt and crushed pine needles ... spring. I've had one major overuse injury — chondromalacia patella in my right knee, which took three years for the pain to go away altogether. After that, I *think* I became better at understanding the communications of pain. 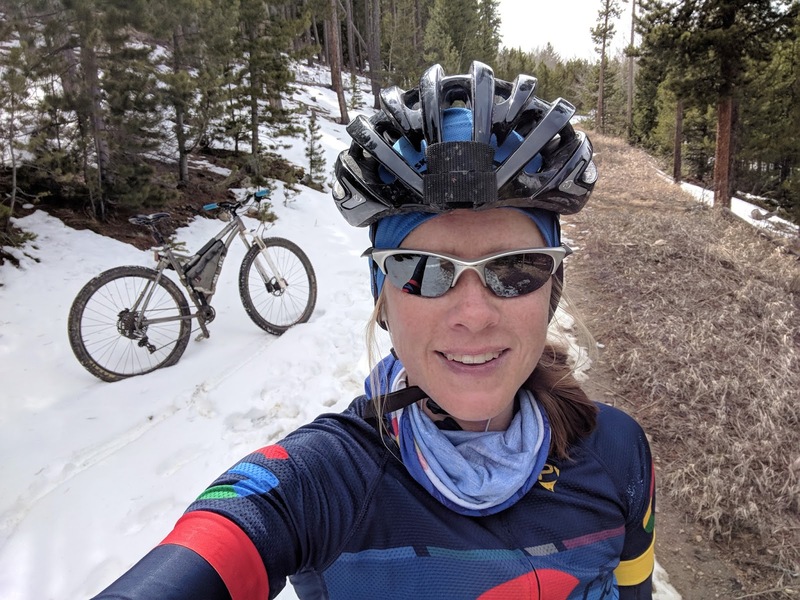 I have mostly avoided overuse injuries for nearly 10 years, although I've had plenty of crash- and mishap-related injuries, and of course the 2015 Tour Divide plague that I still blame for most of my current health problems. Pushing through bronchitis to try to stay in an endurance bike race was a major lapse in judgement. I love this quote: “once you live a good story, you get a taste for a kind of meaning in life, and you can't go back to being normal." Donald Miller, "Through Painted Deserts"
Alas, tomorrow holds all the answers. Today is all I have to spend. With that, I'm off to mountain bike through "Painted Deserts" north of Moab...without my watch. I love that quote. This is pretty much all I want out of life — to "live a good story." I love recognizing all the places in your photos :). You must have been almost standing in my driveway for one of those ;) It is so hard to make a change like you're doing - not signing up for the Iditarod. It's a transition that I had to go through, and I'm happy that I did. I ride where and when I want, without needing to be ready for specific events. I set out challenges for myself each year but no one knows about them but me. I like being on the other side of the transition, and perhaps you will too. I don't intend to step away from racing forever, and to be honest will be a little surprised if I make it through the summer without caving into the urge. But I am content for now to just move through the world and enjoy it for what it is. Your legs waking you up after 20 minutes sounds like it might be Restless Leg Syndrome. I started noticing it in my 40s, but I'm not as active as you! As a "syndrome," it isn't clear what it really is and what does and doesn't work to treat, and it varies a lot among people. With me, I'm more likely to have it after a day or two of NOT being really leg-active. Stretching before bed and if they start bothering helps. After a particularly bad period after a chronic back problem flared up, I tried several things and stumbled upon Gabapentin, which works well for me. I have the relatively low-dose 100 mg capsules, but only take it if I'm woken up, usually a half hour after falling asleep. If I wake up again, I'll take another. It's really helped me and I like taking as little--often none--as possible. I hope doing so helps keep it effective for me. It's been two weeks since the WM100 and I am still feeling soreness in my quads, but I'd rate is as mild and improving every day. The soreness is exacerbated noticeably after even short hikes — of which I've only done two — but weirdly doesn't seem to be affected by cycling.